Best Rated LED Backlit TVs 2017-2018 – This page contains a roundup of all of the top-rated LED HDTVs, presented here for a comparison of price, features, and reviews. LED TVs differ from traditional LCD TVs primarily because they use LEDs to illuminate the backlight of the TV instead of the traditional fluorescent backlights used on most TVs to date. The advantages of LED TVs are many. The primary benefits are thinner TVs (great for mounting on walls), Much more energy efficient (savings of 40% and more), and much better picture (improved contrast and colors). For 2017-2018, you can buy Edge lit LED TVs (illumination occurs from the side), Local Dimming LED TVs which have LEDs directly behind the screen where they can turn on or off, or dim for maximum picture quality and contast, or a hybrid (Edge Lit with Local Dimming). 4K LED Ultra HD TVs are starting to dominate the market, as they have four times the resolution of Full HD TVs. Compare the top Brand LED TVs below, by features, reviews, and price. (Click for Reviews) Is this the best price? (Click for Reviews) Is this the best price? 4K HDR = This is the year of HDR or High Dynamic Range. This is the latest feature that actually does greatly improve picture quality. It allows for a wider range between bright and dark scenes, and makes colors look more natural. A true breakthrough in screen technology. Blu-ray discs and future content will be tailored to take advantage of this technology built into future TVs. Local Dimming LED TV = An LED TV that is illuminated from the rear by an array of LED lights. These lights can be dimmed or turned off to give maximum contrast and picture quality. This type is superior to an edge lit LED TV. These are hard to find, and much more expensive than the other types. Dual Core/Quad Core Processor = Some recent TVs now have Two processors instead of one. This will greatly increase the functionality and speed of Smart TVs, and internet connectivity. Samsung has introduced Quad Core processors (4 processors) for even greater speed. 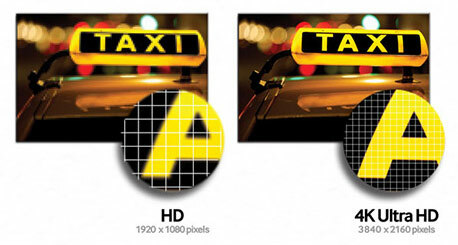 1080p = (1920×1080) with 2 million pixels resolution (Maximum Blu-ray quality) Most LED TVs are 1080p. 240Hz = 240Hz anti blur technology. Eliminates blur on LCD TVs during high action sports and movies. The latest technology. 3D Ready TVs = A 3D Ready TV is one that has a transmitter built-in to communicate with 3D glasses. To create the 3D effect, one lens will be opaque (black) while the other is clear. This is done hundreds of times per second which is imperceptible to the human eye, but it creates the illusion of 3D. 3D Ready TVs are becoming more mainstream, and we expect to see 3D as standard equipment on more and more sets. Smart TV = A Smart TV is an internet ready TV that allows you to connect an ethernet cable or use a wireless Wifi connection to your TV. Content can include services such as Netflix, Youtube, Facebook, Amazon, and other content. Services vary by manufacturer and model.